Chili seasonings give wonderful Southwest flavor to this slow cooker pot roast. If you don't have ancho chile powder, use a good quality chili powder blend or some smoky chipotle powder. New Mexican chile powder is another great choice. Add some extra heat to the pot roast with pickled jalapeno pepper rings or fresh chopped jalapeno or serrano peppers. A beef chuck roast is the best choice for a slow cooker dish, or use a bottom round roast or rump roast. If you don't have a pot roast, use stewing beef or boneless short ribs in the dish. Searing the beef can add flavor, color, and texture, but if you don't have time to brown the beef, you can skip that step. 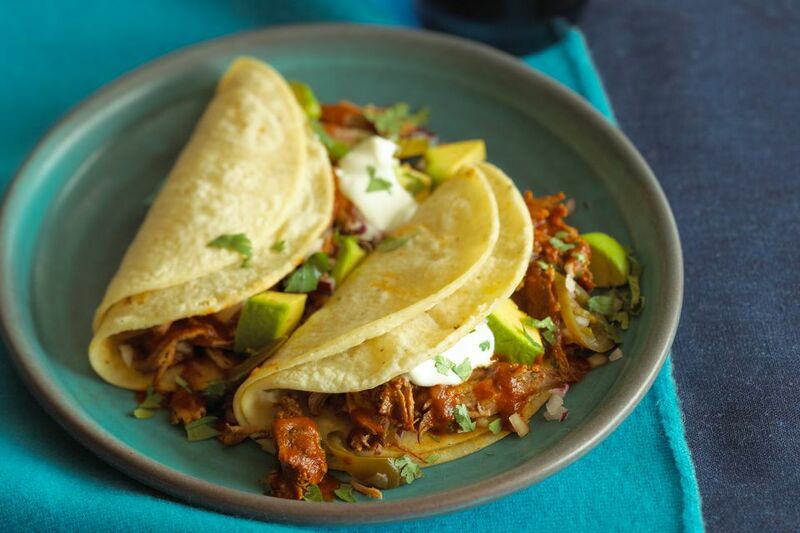 Shred the beef and serve it with flour tortillas or soft corn tortillas, or fill toasted split buns with the beef. Or put it in Native American fry bread. Top the beef with fresh cilantro, diced tomatoes, shredded lettuce, and guacamole or sour cream. Heat the vegetable oil in a large skillet over medium-high heat. When the oil is shimmering, add the beef pot roast and sear on all sides. Transfer the meat to the slow cooker. In a bowl, combine the beef stock, tomatoes, chile peppers, ancho and chili powders, cumin, onion powder, and garlic powder. Stir to combine and then pour the mixture over the roast. Cover the pot and cook on low for 8 to 10 hours, or until the beef is very tender. Serve the beef with cooked potatoes and corn or your family's favorite side vegetables, or shred the beef and serve it in tortillas or split toasted buns. Garnish the beef with some chopped fresh cilantro or taco toppings, if desired. For tacos, drain the beef and shred it. Serve it in crisp or soft taco shells or tortillas. Top with chopped tomato, red onions, shredded lettuce, and cheese, along with taco sauce and sour cream. Use leftover beef as a topping for nachos or pizza or add it to a bean dish or Brunswick stew.